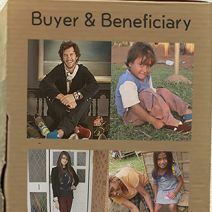 TOMS shoes are purchased worldwide in order to support children in need. However, the only thing the children receive are just a pair of shoes. A pair of shoes are insufficient for children to feel connected and supported. In addition, some TOMS shoes may be slippery due to their flat outsole. Indroducing, TOMS Footprinter. With each purchase, TOMS engrave messages in which the buyers wish to deliver to the children on the shoes outsole. Whenever children walk or run in TOMS, they can see the printed messages from their supporters and feel connected!